Around 9 p.m., a fight broke out between inmates. Guards immediately contained the incident and sent the inmate population into their housing units, according to prison staff. None of the injuries were life-threatening. Still, multiple ambulances came out to the prison. 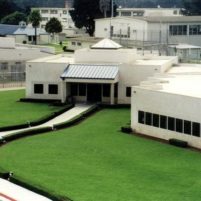 Authorities placed the prison on limited operational status. Off-duty correctional officers were reportedly called in to respond to the incident. Additionally, a checkpoint was reportedly set up in Lompoc, and drivers were forced to turn around at a bridge over the Santa Ynez River. The Federal Correctional Complex has been in the news several times over the past year due to a string of incidents in which inmates walked away from the prison camp. Can you imagine what must have started the fight at this place????? “My Daddy is richer than your daddy” Yeah, well I’m only here cause I was framed. Oh yeah! Yeah! Gonna make somethi’n of it?